When traveling, comfort is one of my priorities. 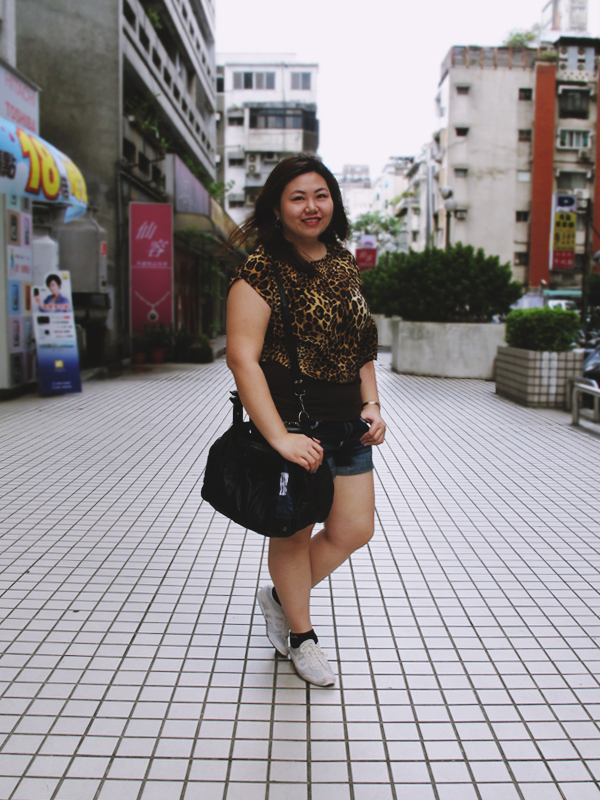 I still want to dress up (literally wear a dress like I did here), but sometimes, wearing a top, shorts and sneakers combo is the best way to go. Especially when you know you'll be walking for hours and lugging around a lot of bags. 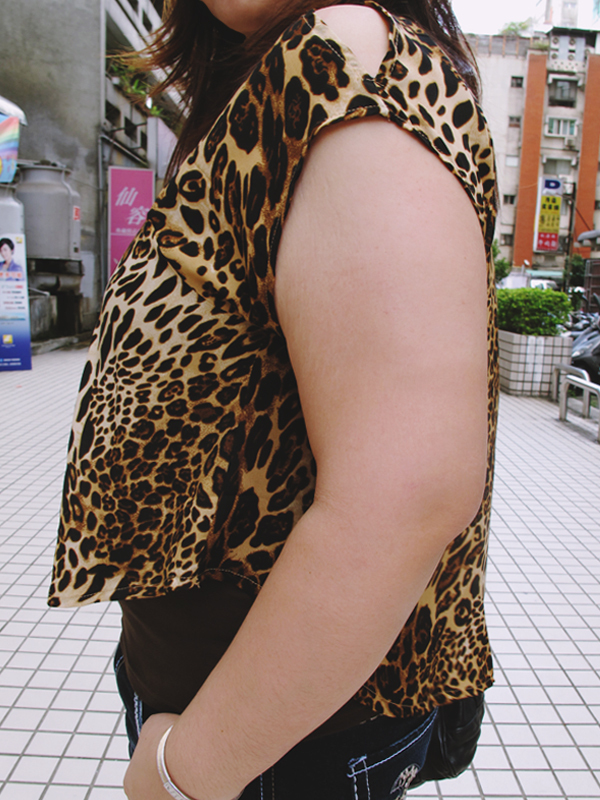 Love the leopard top! Look great! I am amazed by people who can walk in great distance wearing 5-inch heels because I just can't. For me, comfort comes first when traveling by foot. I agree with you. High hell este heels aren't my best friends. Haha! 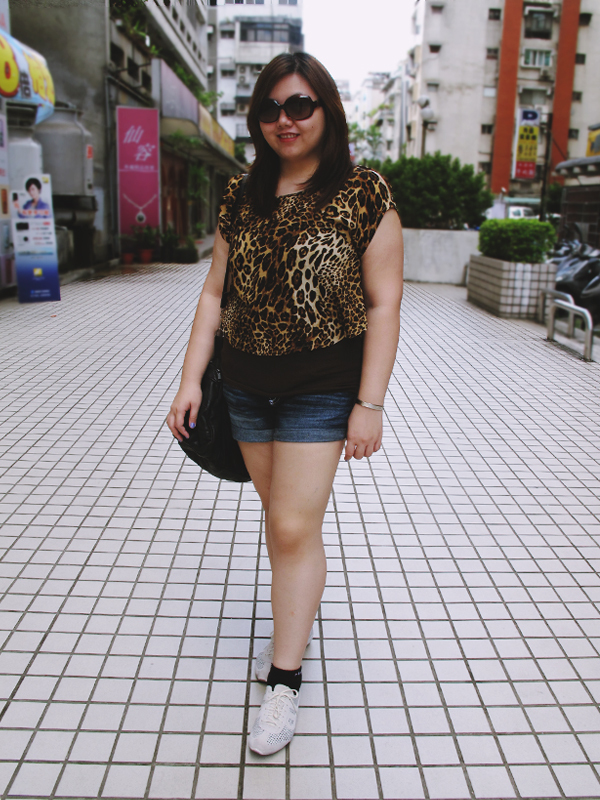 I love how you took a casual traveling look and made it adorable and stylish, that animal print tee is fantastic! 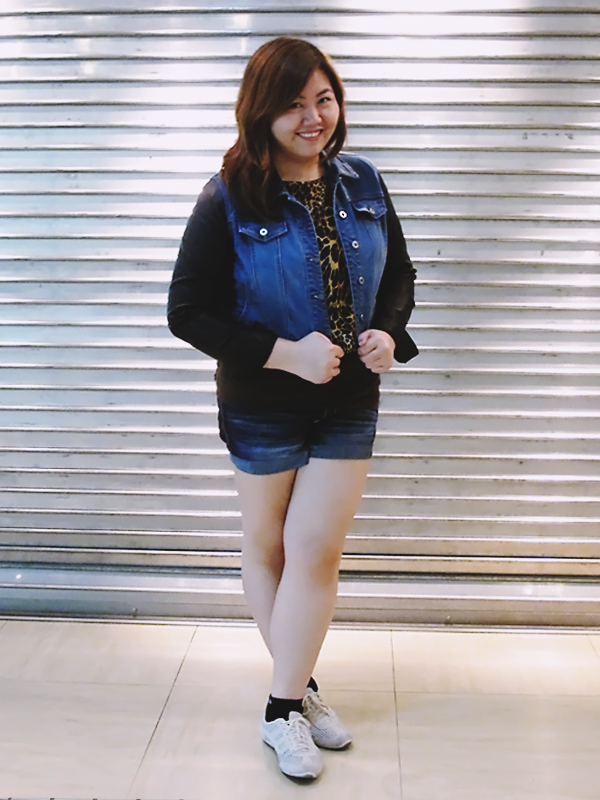 And i am seriously drooling over that leather and denim jacket, I've been looking everywhere for a cute one. I agree! I'd rather look not-so-chic so long as I don't have rough and darkened patches on my foot afterwards. Heehee. I definitely agree on traveling comfortable... I love my heels but i cannot survive in them even walking aroung in the mall... Need flats for sure! You're good at choosing which tops to buy. I notice how almost all the tops you featured can be dressed up or down--not just this one. Looks very comfy indeed. I do the same when traveling but to the point of looking frumpy. LOL. I used to do that too, but looking at past vacation photos made me cringe so I prepped for this trip. Haha! Jeans and loafers are my go-to travel outfit. Who knows when I'll need to make a dash for a flight or have to hunker down and sit on the floor for a long wait! Cheetah is one of my favorites! It looks like you are having a wonderful trip. Thank you for your kind comments. Come by and participate in my first ever giveaway! Only 8 more days! oh my this is so true - comfort is the best way to go! and you made it look cute so there ya go! I'm the same way as you. I can walk in flats. Heels, unfortunately, only for a few mins and I want to take them off and go bare-feet. Comfort is much more important to me. Thank you so much for visiting my blog and for leaving a comment! I think that comfort is important when traveling.